Scientists at the University of Southampton are developing new e-textile technologies to mitigate the pain for people with arthritis. 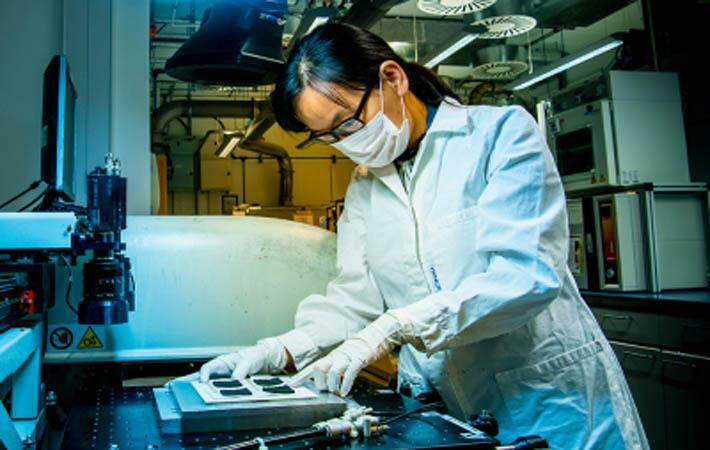 Dr. Kai Yang, a principal research fellow in the Smart Electronic Materials and Systems (SEMS) research group, has been awarded a £600,000 Engineering and Physical Sciences Research Council (EPSRC) fellowship for this purpose. Osteoarthritis is a leading cause of pain and disability that affects people’s independence and quality of life, and represents a massive burden on NHS resources. The number of people with osteoarthritis-affected knees is estimated to increase from 4.7 million in 2010, to 6.5 million by 2020, and 8.3 million by 2035, due to the UK’s ageing population. Kai’s research is exploring the use of e-textile technology as a therapeutic application enabling self-management of healthcare conditions to help people feel better and live longer. “People who are in severe pain are less mobile and this technology could enable them to become more independent, engage in more activities and experience better health for longer. Wearable e-textiles will provide a comfortable to wear, easy to use and cost-effective solution to end-users,” Kai adds. The three-year fellowship will see Kai expand her team, and widen collaboration with industry, clinicians and - most importantly to her - the end-user. The fellowship is underpinned by two existing projects in the SEMS group. The Medical Research Council (MRC) SMARTmove project Kai is also leading has developed the printed electrodes for healthcare applications. The EPSRC-funded FETT project, led by Professor Steve Beeby, has identified manufacturing and packaging processes that enable circuits to be reliably and invisibly incorporated in textiles. Kai’s fellowship will combine these technologies, demonstrating a complete e-textile wearable solution targeted initially at pain relief but with potential for many other healthcare and medical related applications.